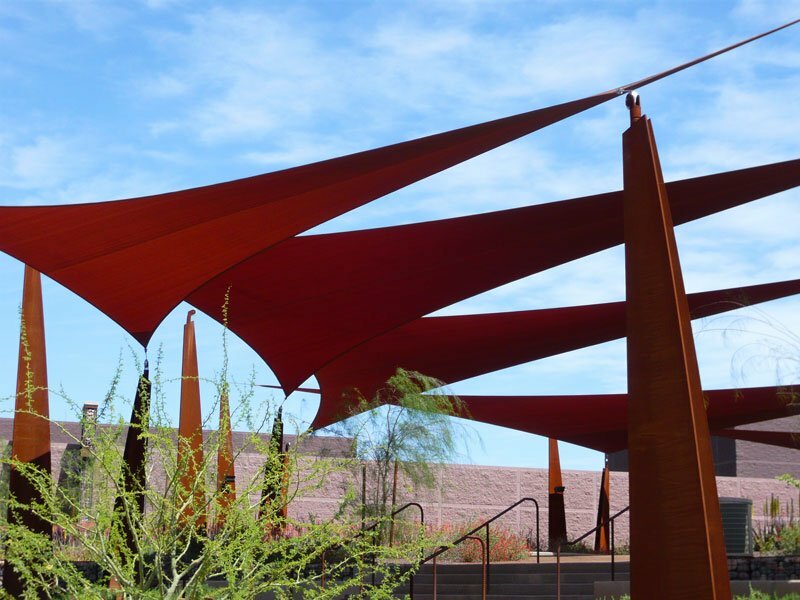 When the city of Scottsdale, Arizona, built a water treatment plant, they didn’t want it to look like an industrial eyesore, so they spent on architecture, public art and shade sails to make this location an oasis in the desert–literally! See a local’s appreciation of this space: http://onespeedgo.blogspot.com/2010/09/gabion-buttresses-at-chaparral-water.html. 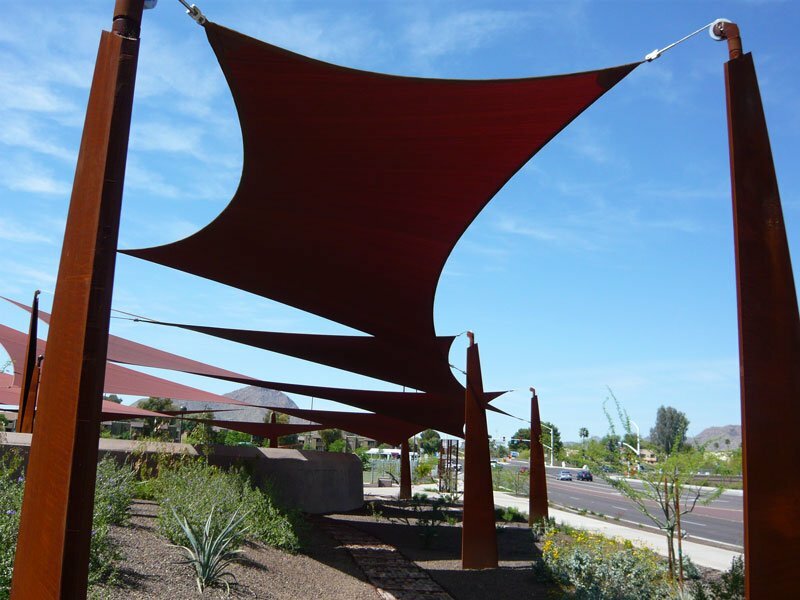 The shade sails and attachment hardware were designed by Geoffrey Bruce of G.H. 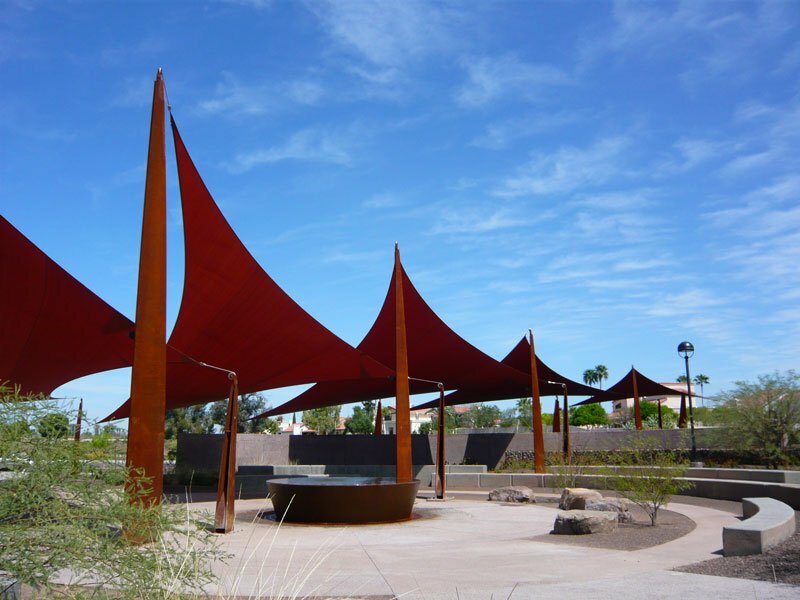 Bruce, LLC (Tucson, AZ), with fabrication and installation by USA Shade & Fabric Structures (Dallas, TX). 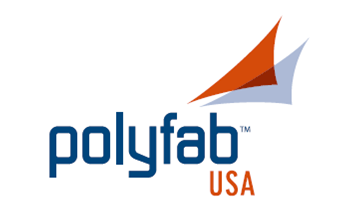 The fabric is a special-order FR 400-gsm knitted shadecloth from Polyfab.